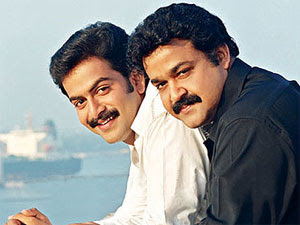 Prithviraj has apparently opted out of Roshan Andrews directed film Mumbai Police because of Mohanlal. Prithviraj had earlier signed the movie Mumbai Police, in which he was to play the male lead role. Roshan Andrews, who was busy filming Casanova with Mohanlal couldn't complete the film as Mohanlal had given out impromptu dates to his best friend and director Priyadarshan for his Bollywood flick Tezz and Malayalam film Oru Marubhoomi Katha. Prithviraj, who is popular for his outspoken behaviour decided to quit Mumbai Police as he was tired of the delay. Meanwhile, it is Mammootty who has cashed in on Prithviraj's loss. Mammootty has now been roped in to play the lead role in Mumbai Police. Vijay's father backs out from producing Tupaki?